STUDENT: Daxita Sirvi / Vl was selected as the Student this Week. 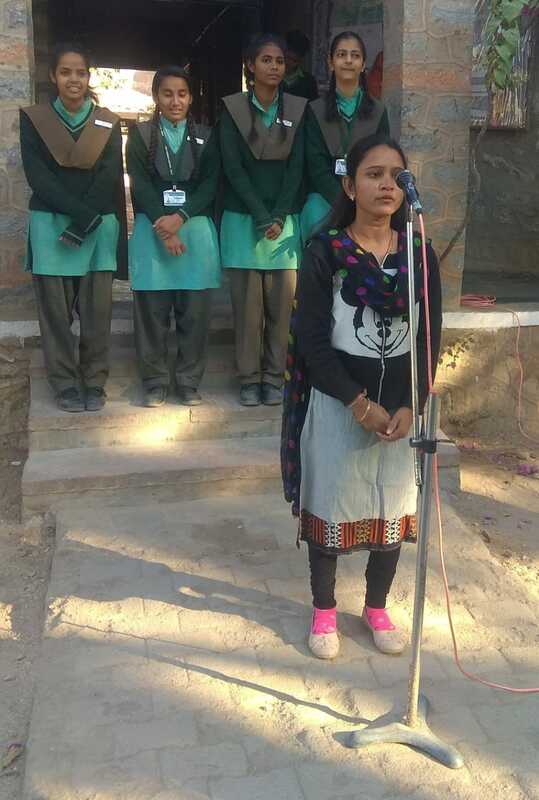 She shared her views on co-curricular activities which helps in the overall development of a child. She said that it is very important and we all should actively participate in all the activities. EDUCATOR: Ms Kusum Dangi was selected as the Educator this Week. 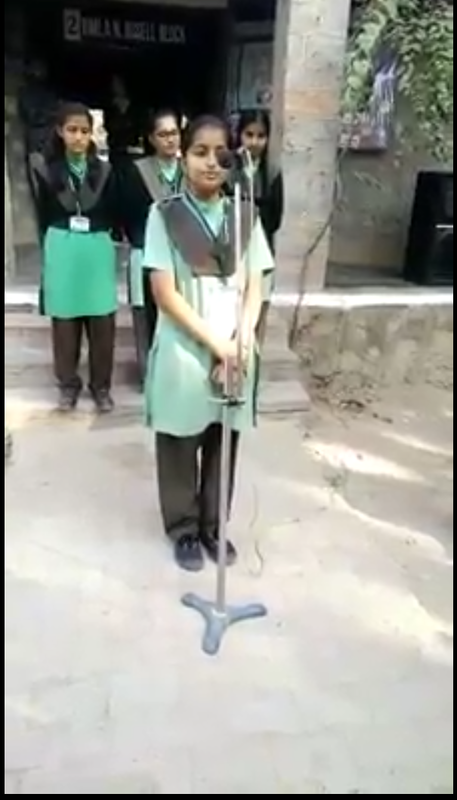 She shared her views on motivation and told the story of Thomas Elva Edison that how his teachers demotivated him but his mother supported him and he became a good scientist and the moral of the story was never demotivate a person in your life. CS: I participated in all kinds of Sports activities. CS: In the School my favourite spot was the Football ground. CS: These days I am running my own business of clothing. CS: I have learnt many important values of life like discipline, respect for everyone, etc. CS: Whatever time I had spent in the school, all of that was my precious memory. CS: Study hard and achieve your goals. PARENT: Ms Rekha Solanki M/O Charmi Solanki/ Nursery was selected as the Parent this Week. 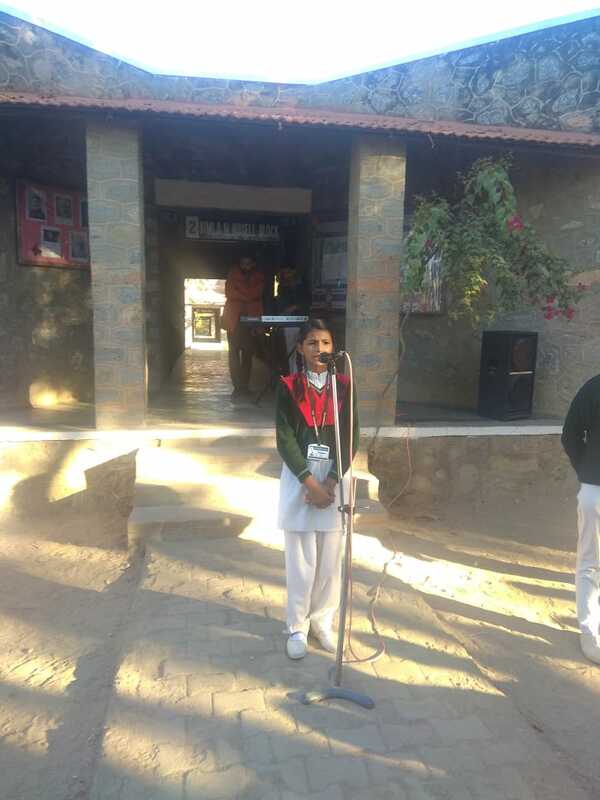 She addressed the students and praised the school activities and environment. 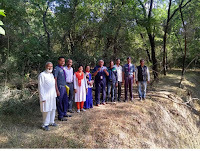 STAFF: Staff had LFIN Saturday in which My Good School Session, PLP Session, Fedena, Brewing Knowledge and School Development Program was conducted by their respective in charges. Cycling and Awareness Rally was organised for the students of Class V - XII in which the slogans were "Education is the birthright of all" and "Empower the girl child through Education"
Monday, 17th December: The cycling students accompanied the students who took out an Awareness Rally in Bali. Street Play was enacted by the students to educate people about the importance of Education. 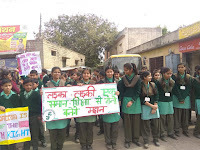 The students gave the message to educate everyone and to empower the girl child through education. 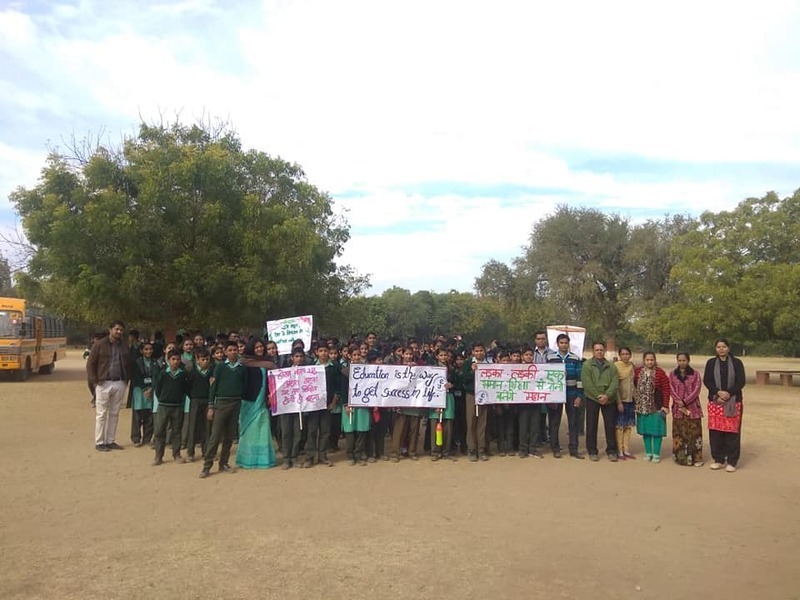 Tuesday,18th December- Thursday, 20th December: Cycling, Awareness Rally and Street Play students went to other villages like Bijapur, Bhatund, Sewari, Boya, Barwa, Lunawa, Latara, Sadra, Radawa, Kot, Mundara and Bhitwara. They covered all the villages around the School. 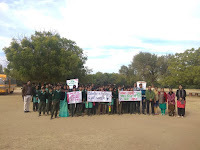 There too students gave the message to the villagers to educate everyone and to empower the girl child through education. All their teachers, Principal and Ms Swati Sood escorted the students. 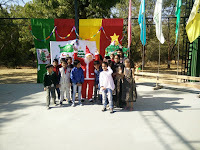 Friday, 21st December: Class III-V put up a Nativity Tableau on Christmas celebrations. The school saw Christmas Father too jingle-a-ling while students sat watching the play. 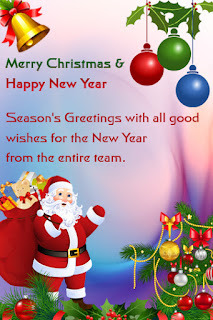 He hugged, shook hands and gave presents to wish all a Merry Christmas! 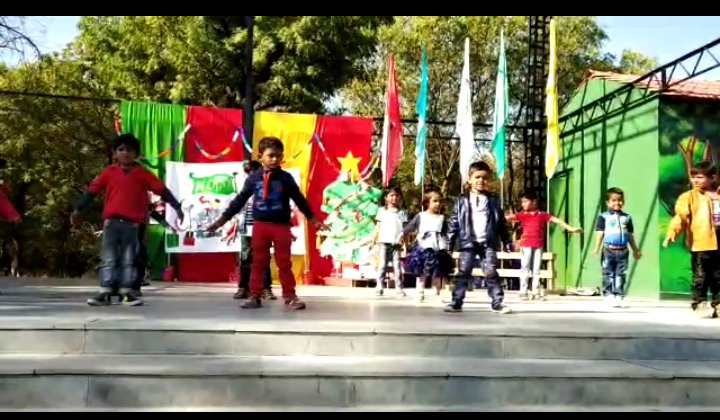 After the skit the students of Pre Primary- II gave a group dance performance. 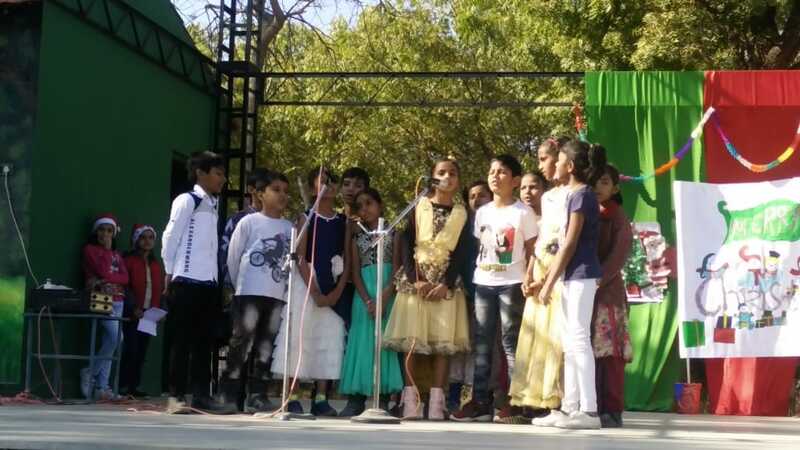 The students of Class II- V sang Christmas Carols. Then the students enjoyed the day by dancing with their classmates and teachers. Chocolates were distributed to all. Saturday, 22nd December: Parent Teacher Meeting was organised. Only some parents attended the PTM. Mark-sheets and answer sheets of UT IV were shown to the parents. 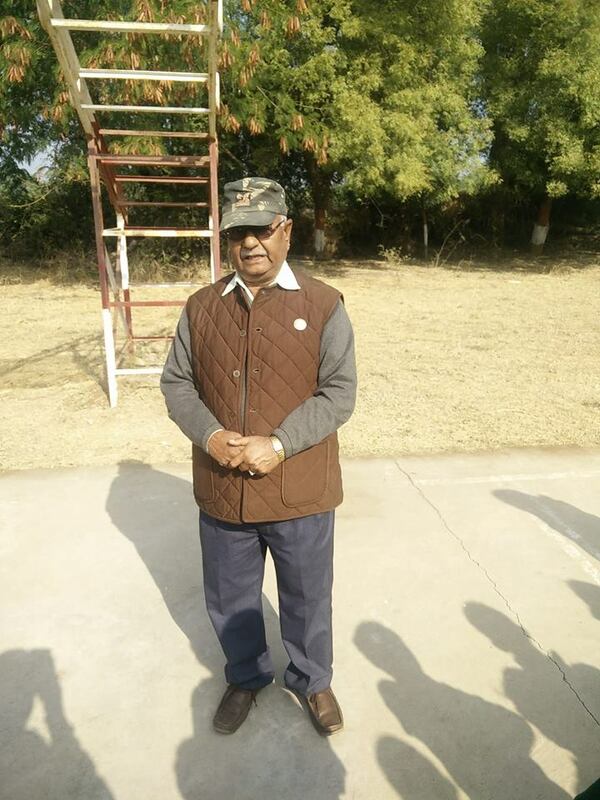 Pre Board I was conducted for Board Classes, X & XII. The School is closed for Winter Vacations from 22nd December to 6th January 2019. We will be back with more news and views on 14th January 2019. The School Weekly wishes its readers A Merry Christmas and A Very Happy New Year. Keep smiling and keep healthy. EDUCATOR: Ms. Aysha Tak was selected as the Educator this Week. She shared her views on how to care for each other, our parents, our classmates and shared a story on caring. DC: I participated in all kinds of dance events, on Sports Day, Rangoli Competitions, Extempore, etc. DC: Every corner of the School may it be the stage or the Assembly ground or some other place, all of them were my favourite. 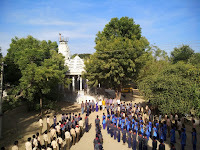 DC: These days I am working as a teacher at Central Academy, Jodhpur. DC: I am Masters in English Literature and I am pursuing B.Ed. DC: In my memories I remember the punishments of standing in front of Principal ma’am’s office. DC: I know when we are at School, we don’t like to go to school but after passing from the school we miss it a lot so, value whatever you have today because it will not come again. GRANDPARENT THIS WEEK: Mr. Lekhraj Rao GP/O Divyani Rao/VII & Nidhi Rao/IV was selected as the Grandparent this Week. He shared that Grandparent Day is celebrated on the 1st Sunday of September. He expressed that world wide its celebrated once a year whereas The Fabindia School celebrates it every week. This celebration is very liberating for us to share our experiences with students & staff. He guided students to be self reliant and self-dependent. He shared his secret of success; love & respect for elders take us a long way. 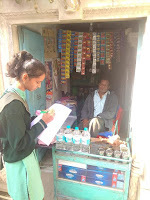 LS: My two grandchildren Divyani Rao/ VII and Nidhi Rao/IV study here. LS: I want my grand children to have their overall development and inculcate moral values which will help them in their future. Would you like to visit this school again? ED: Yes, I would like to visit the school again and again. LS: What message would you like to give to the students? ED: Students should learn a lot in their life, they should be more creative and they should make their family and school proud of them. They should be self reliant and self dependent. STAFF: Ms. Kritika Rao and Mrs. Ayesha Tak visited IGNCA Bal Jagah near Delhi to attend the Librarians Masterclass "Making the Library Come Alive! - Using Art as a Tool." 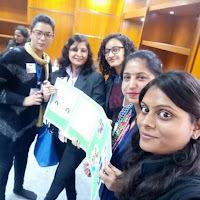 Librarians and teachers from different schools visited the place.They attended sessions of making a story book through pictures, diagrams, map-making, writing and design, collaboration through telling, narrating and enacting the story and reflection They learnt how to make the library come alive using art as a tool. They also created a story book using pictures, sounds and videos. 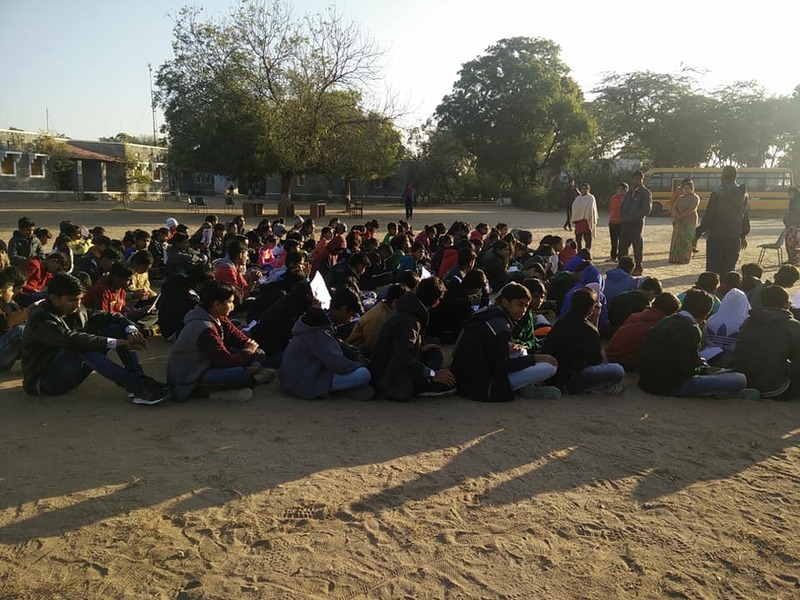 Friday, 14th December- Saturday, 15th December: Two days night camp was organised on the school campus for the students of Classes IV- IX. They had bonfire and around it they sang songs, danced, chanted shloaks and narrated stories. Next morning, adventurous activities were organised by Mr. Prabhu Prajapati and Mr. Girish Kumar( Scouts and Guides Instructor). Various activities were held like Commando Walk,Tire Tunnel, River Crossing, Tarzan Swing, Knots Ladder, Blindfold Walk, Zigzag,etc. 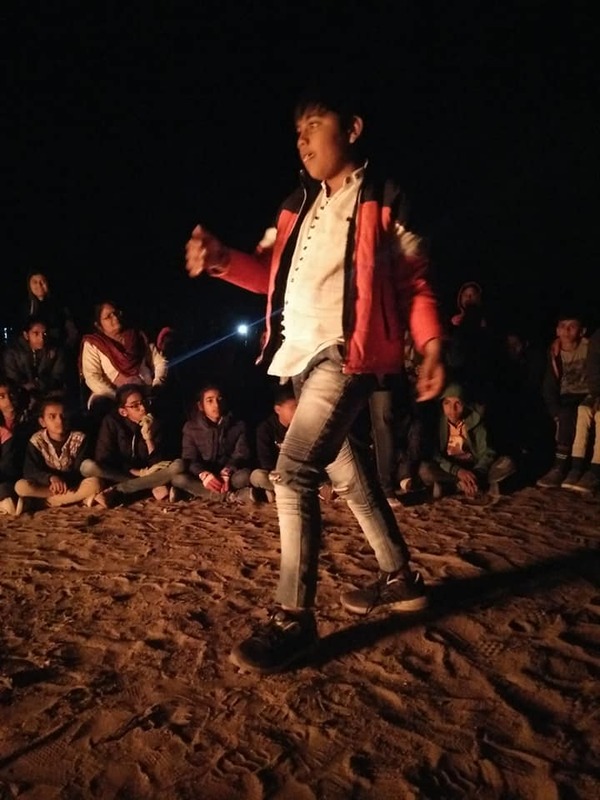 In the evening, they had story telling and personality development session. 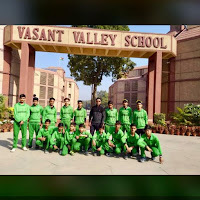 They exhibited leadership qualities and teamwork. They also learnt helping each other, sharing and caring. 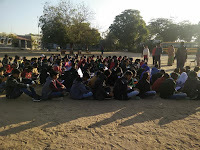 My school organized a two day night camp for the students of class IV, V, VI , VII, VIII and IX. 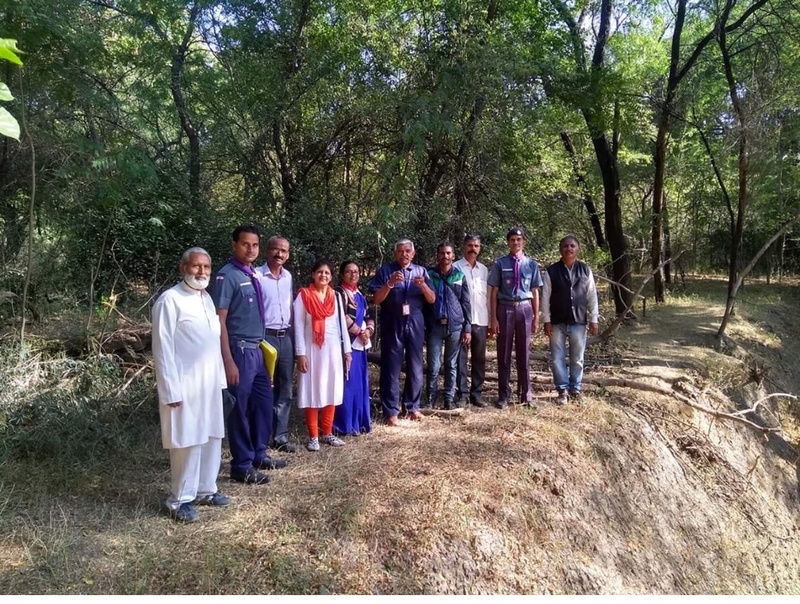 The camp was organized from 14th December’18 to 16th December’18. 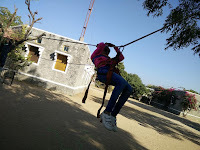 This camp was indeed a very innovative way to make students learn and get experience. On 14th December, we stayed back in school after giving our last unit test. First we made groups and named ourselves. I was in the Fear Fighter group At night, we had camp-fire. It was an indescribable experience. There was bonfire and it was surrounded with chairs. Students were singing, dancing, and showing their talents in many ways. I learnt to take responsibility of children as we were the senior most. We managed the students. The camp was unforgettable. After the camp fire, we had great fun in our room. We had pillow fight; we were not able to sleep because of excitement. We slept late in night and woke up early. We had break-fast. After that Prabhu Sir and Girish Sir who are from Scouts and Guides trained us to be self discipline and self responsible. I learnt discipline, self responsibility. They organized adventurous tasks for us. 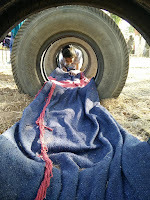 There were seven such adventurous tasks. 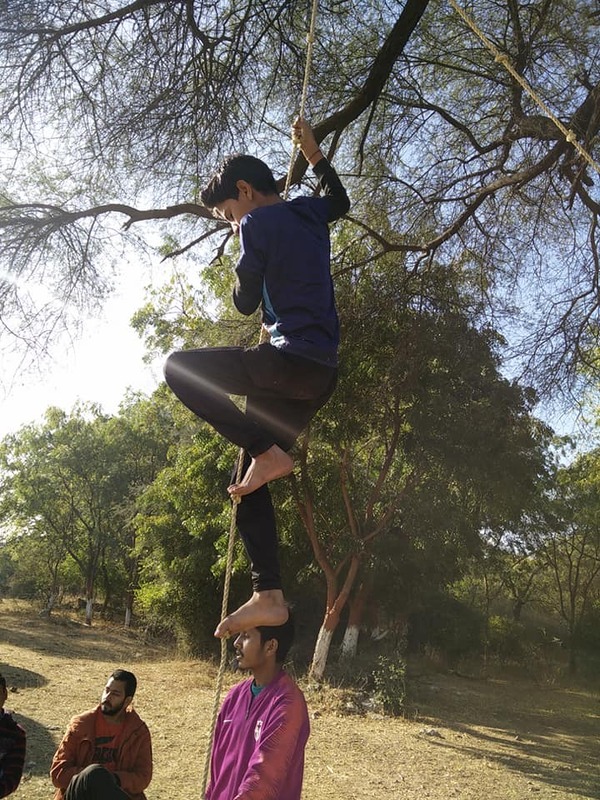 I learnt to balance myself, my ability, my potential towards the tasks. In the evening we had Personality Development session in which I learnt how personality shapes our behaviour and how we should be courteous and respect others. At night we danced and then went to sleep. 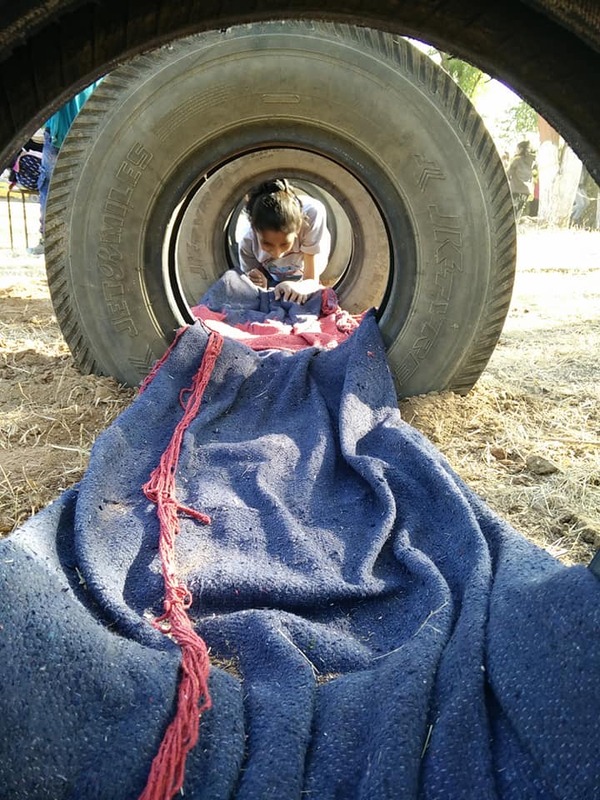 Next Morning we arranged everything and returned home with a lot of learning.- Archana Koratkar/ IX. Thursday, 13th December- Saturday, 15th December: The school participated in Under 17 Cricket Tournament held in Delhi escorted by Coach Mr. Tarun Mishra and Team Manager Mr. Jaffar Khan with 16 players. They played two matches. 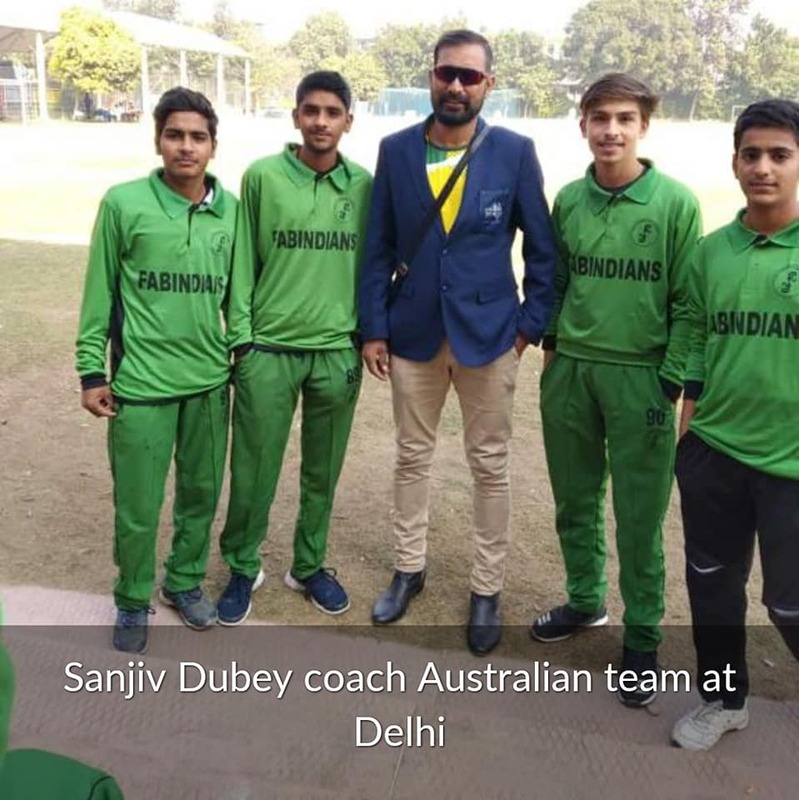 One was against Australian Cricket Club and the other one was against Vikas Puri Cricket Club. 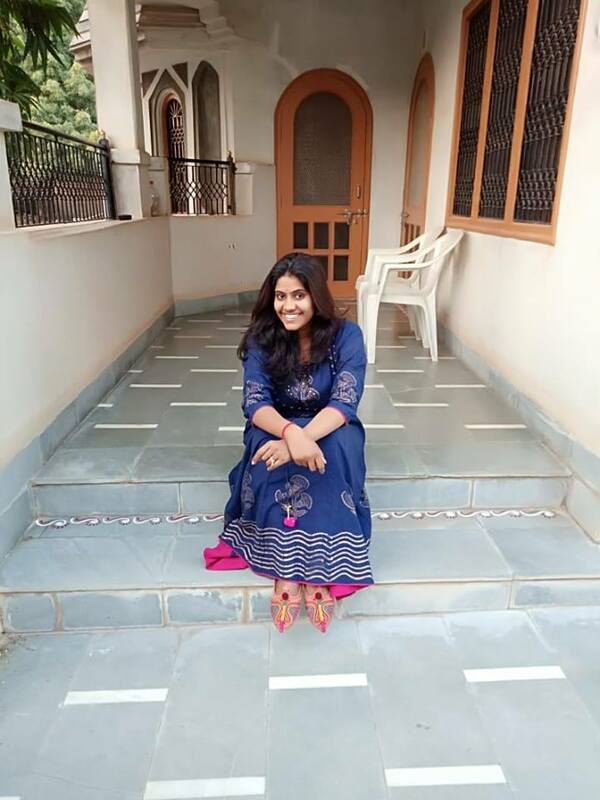 STUDENT: Yamini Rathore/ VI was selected as the Student this Week. She shared her views on the role of teacher in a student's life. She told to respect teachers and love them for all their efforts. She shared her views that "Teachers play an important role in our life. Apart from our parents, they also shape our lives, our future by giving us knowledge and moral values. Teachers can really impact on the lives of many children especially when they leave a good impression on them. However, inspite of the meaningful role teachers play in the lives of pupils. Some children disrespect them, which l feel is completely wrong .And unexpected because some time we get punished for mistakes we make but we have to understand that their small punishment or scolding can save us from making a big mistake in life. They scold us because they care about us and they don't want us to do anything which is harmful for us. They guide us and support us, except for our parents no one can be happier than them on our success. So, we should respect them, obey them and make them proud." EDUCATOR: Ms. Usha Panwar was selected as the Educator this Week. She shared her views on the ways of handling pressure. She suggested the students to stay calm and utilize their time wisely. 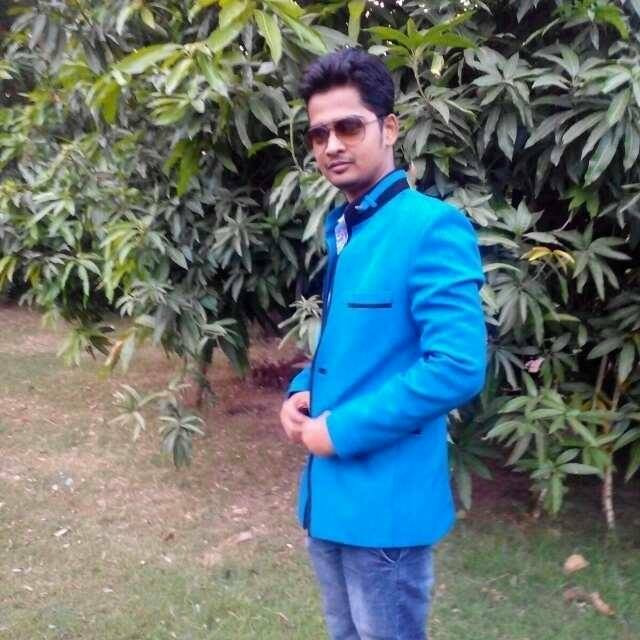 ALUMNI: Darshan Rajpurohit joined school in 2008 and left school in 2014 after passing his X Board with flying colours. 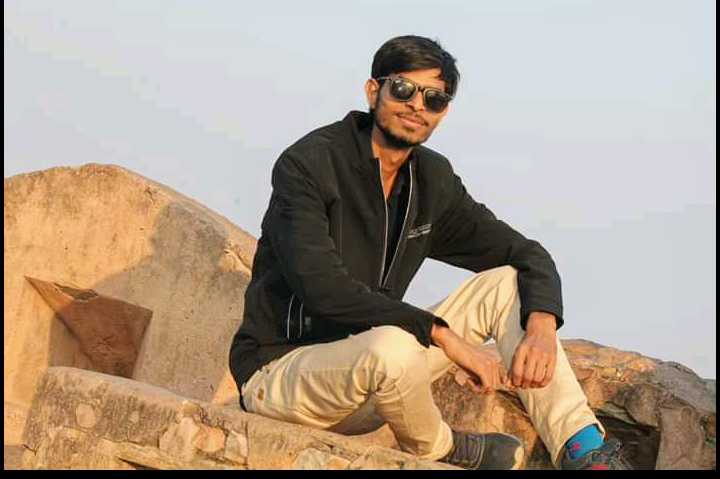 He went to Kapil Gyanpeeth School, Jaipur. He did his coaching from Allen Career Institute, Kota. He appeared for NEET and passed his examination with good marks . Nowadays he is doing his Doctorate in Veterinary Science from Rajasthan University of Veterinary and Animal Sciences, Bikaner. 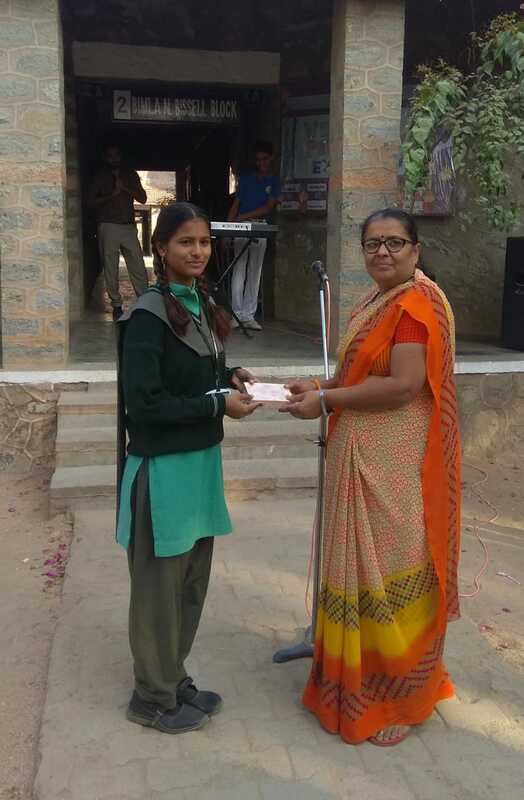 PARENT: Ms. Sajjan Kunwar m/o Komal Kunwar/ VII was selected as the Parent this Week. 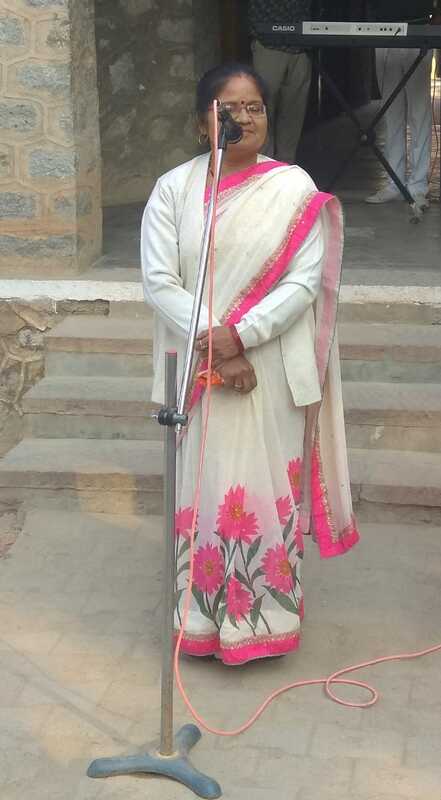 She shared her views and suggested the students to work hard as they have got the opportunity to study in The Fabindia School. She wished that all the students should soar high up and be meritorious. ED: How many wards are studying here? SK: My one ward is studying here. ED: What do you expect from your ward? SK: I want that my child should become an executive and achieve a lot in her life. SK: I want teachers should focus on every student and every student of The Fabindia School should soar high up and be a meritorious student. ED: Do you like our school? SK: I love this school because I like the environment of the school. SK: I want to tell all the students that they should work hard and make their parents and school proud. SK: I haven't achieved anything, but I want my child to achieve her goals and whatever she desires. We are three,in a group. Sides are three,in a triangle. Triangle is a polygon,we are a protective zone,for each other. Triangle need three elements be ,to be congruent. We need three friends to,create triangular friendship. Triangle is only found,when we join three vertices. And triangular friendship is only found,when three friends get bound with each other. If two creates problems,third solves the problem. That's why,the group of three friends,is always the best. Monday, 26th November: Revision work was going on for UT III the whole week which is going to start in the commencing week. Saturday, 8th December: The students write stories/ poems every month on Launchora. One story/ poem is selected every month and the student is given a prize of 52 cards. 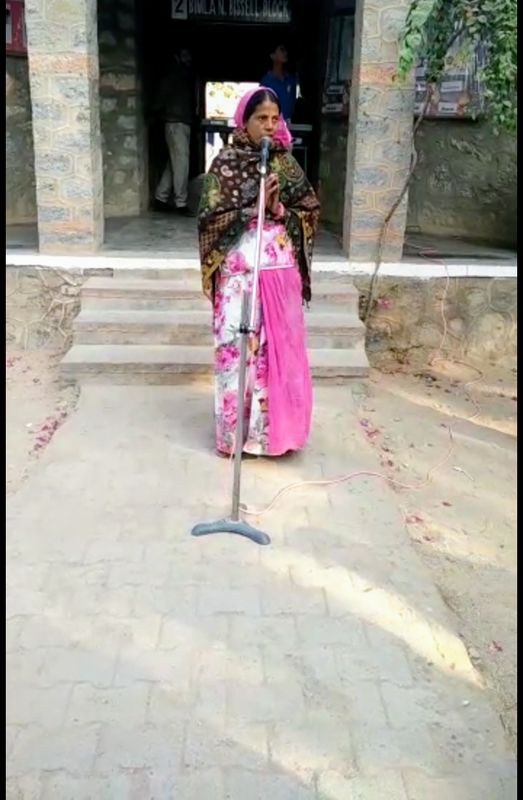 November poem of Vinita Sirvi / IX was selected. The title of her poem was Triangular Friendship. 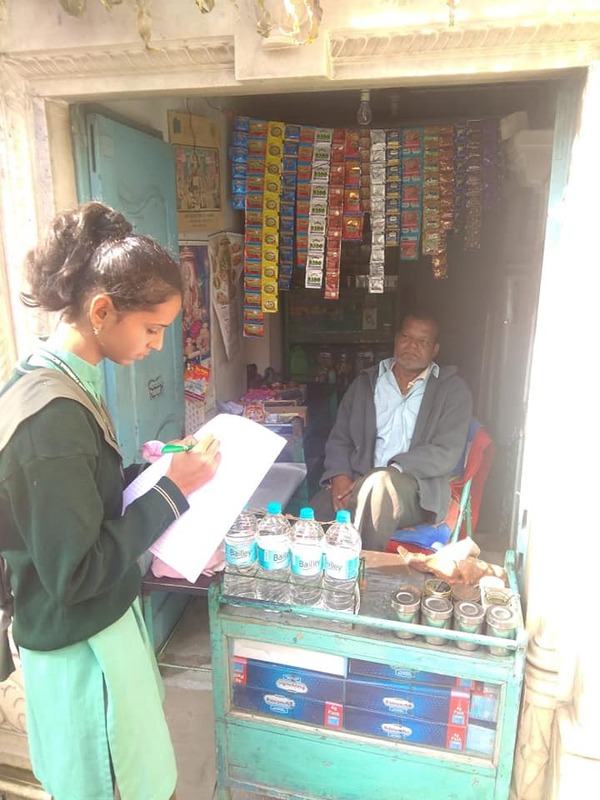 STUDENT: Sayyogita Ranawat/VII was selected as Student this Week. 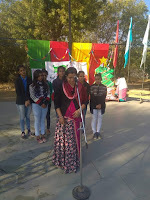 for her leadership and responsible behavior during Scouts and Guides Camp.She explained the Essence of togetherness and quoted "Together we can bring a change and working together is success." She shared her views that "School makes us able to complete all the responsibility and do something in our life. This is the beauty of School because alone I can think but together we can talk. Alone I can smile but together we can laugh. Alone I can enjoy but together we can celebrate. School connects us with each other. You know that school educational training is like a water which has no shape, no colour and no taste,but still it is very important for life and without education, life is like a moonless sky. At last I would like to quote "रात नहीं ख्वाब बदलते हैं /मंजील नहीं कारवा बदलता है/जजबा रखो जीतने कयोंकि किस्मत बदले या ना बदले पर वक्त जरूर बदलता है ". EDUCATOR: Mr. Jafar Khan was selected as Educator this Week. 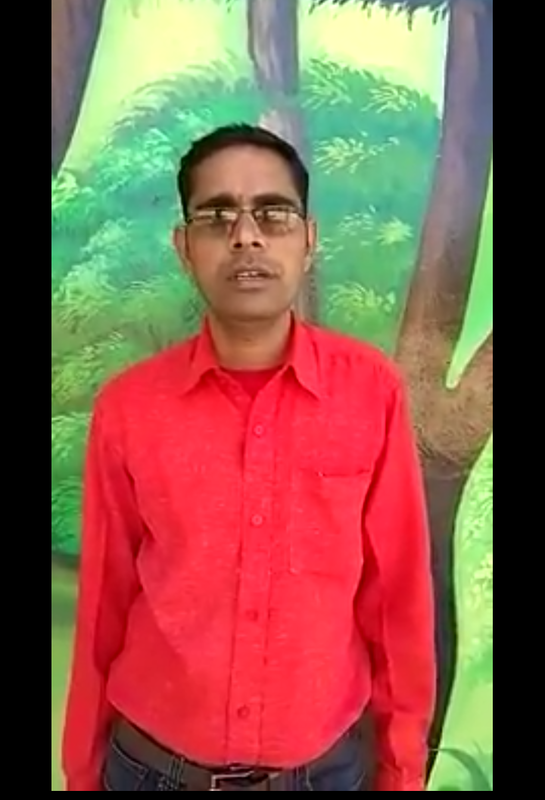 He shared his views on development of confidence. He beautifully expressed the quote " Never lose confidence in your heart and try to terminate all the problems from your path." 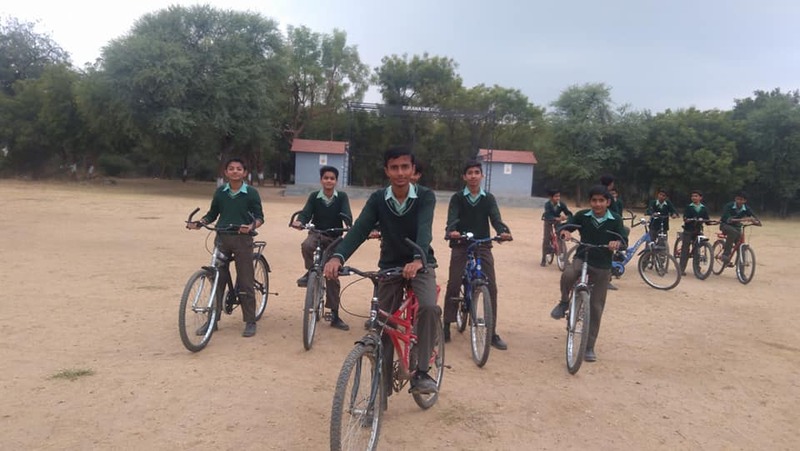 He shared some of the incidents of his school life that how he used to pay his fee on his own and motivated the students a lot to be confident. AP: Yes, I have participated in Annual day functions and all types of Sports events. AP: In the school my favorite spot was that tree in the middle of the school. AP: These days I am working as an assistant lawyer in Pali. 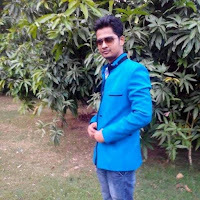 AP: I have completed B.COM and nowadays I am pursuing LLB. 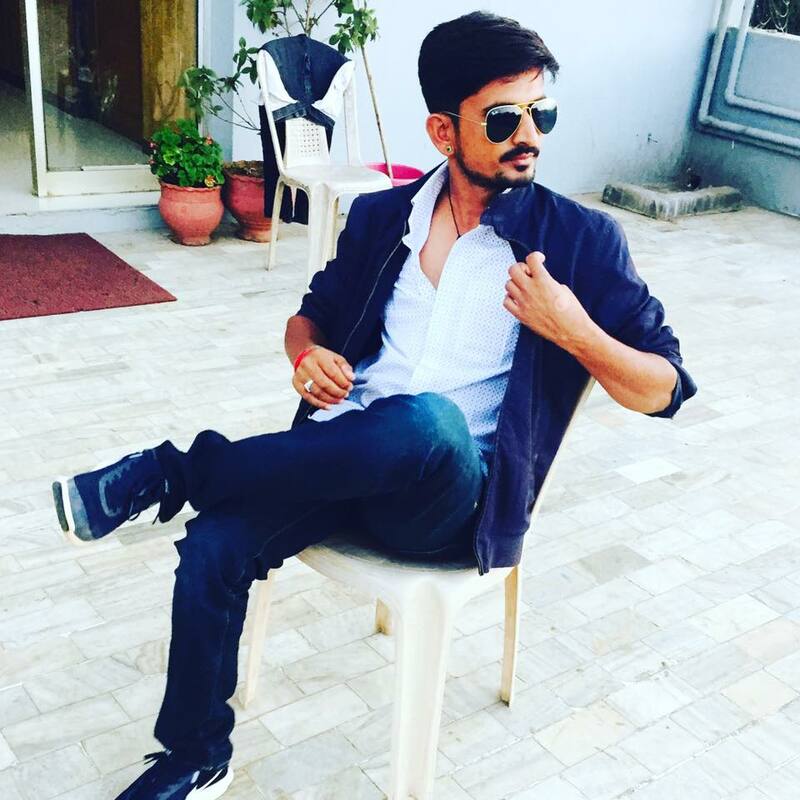 AP: I have learnt Leadership skills and Public Speaking qualities from the Fabindia School. AP: In my memories I remember the sports day events and trekking trips. AP: Study hard and achieve your goals. STAFF: Staff had a meeting on Thursday, 25th November where they discussed on the criteria of KRA Sheet and feedback regarding Annual Function was given. Staff wished Ms. Rajeshwari Rathore a 'Happy Birthday'. May God bless her and best wishes for her future. number of activities on service and discipline were carried out. 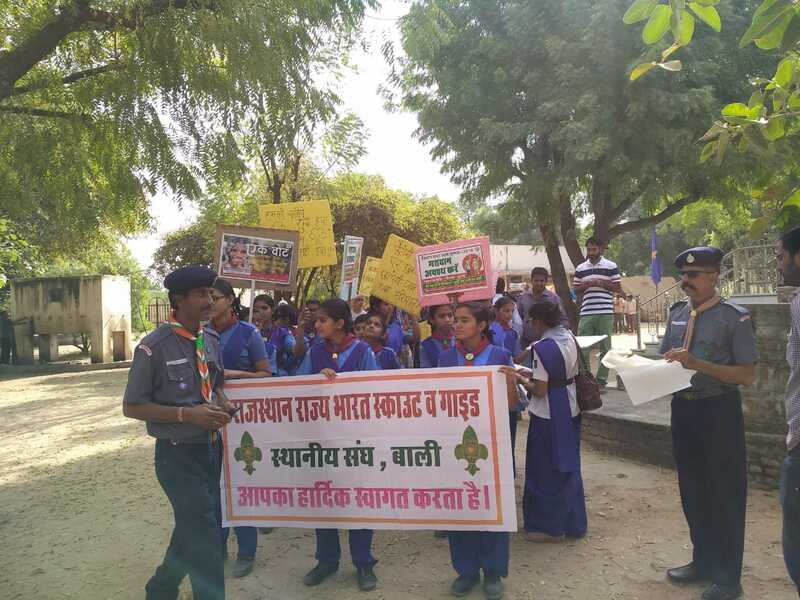 Awareness Rally and Campfire was organised. 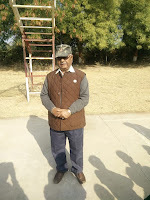 Dhawan Choudhary/ VI participated in the cultural program and he was rewarded. 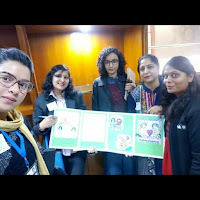 Sayyogita Ranawat/VII shared her experiences and she too was rewarded. During the activities the students learnt to collaborate, communicate and do their work independently. Saturday, 1st December:My Good School Saturday had six lessons .In first lesson all the children discussed about the current GK question with their class teachers. 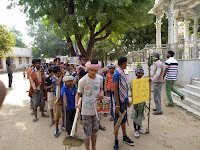 After that cleanliness drive was organized as their service project. In third lesson all the students went to various skill departments where they have learnt art and craft, dance, music IT skill etc. In next lesson to enhance their reading and creativity skill they had reading and writing lesson. 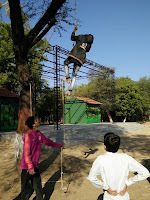 During last lesson all had their most enjoyable time with sports activities and matches.